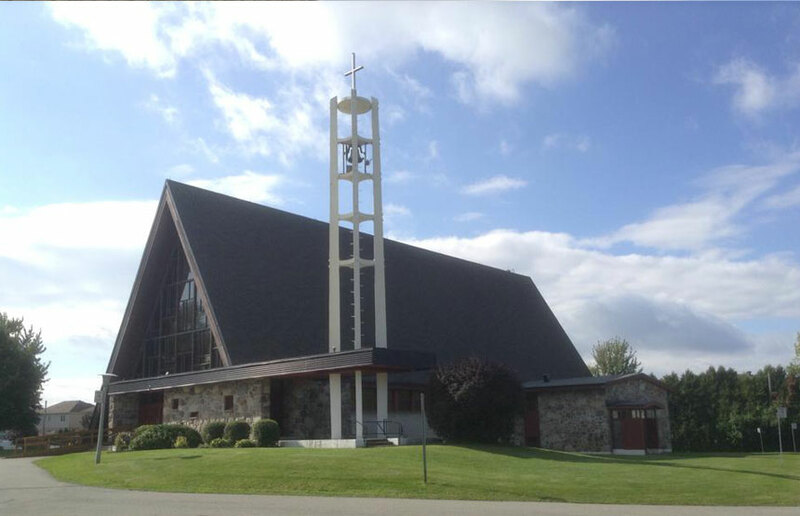 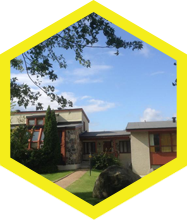 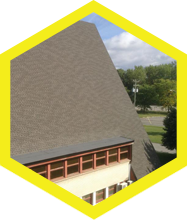 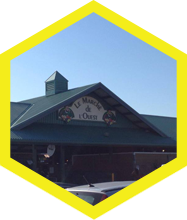 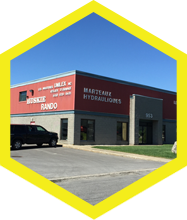 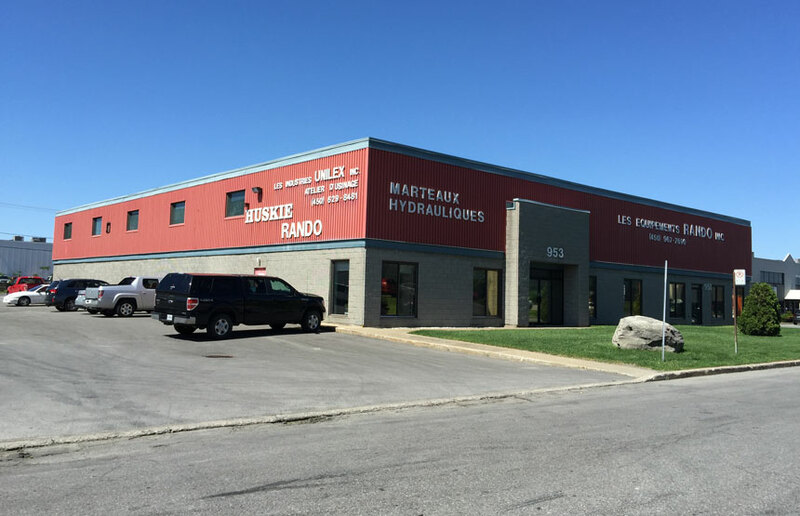 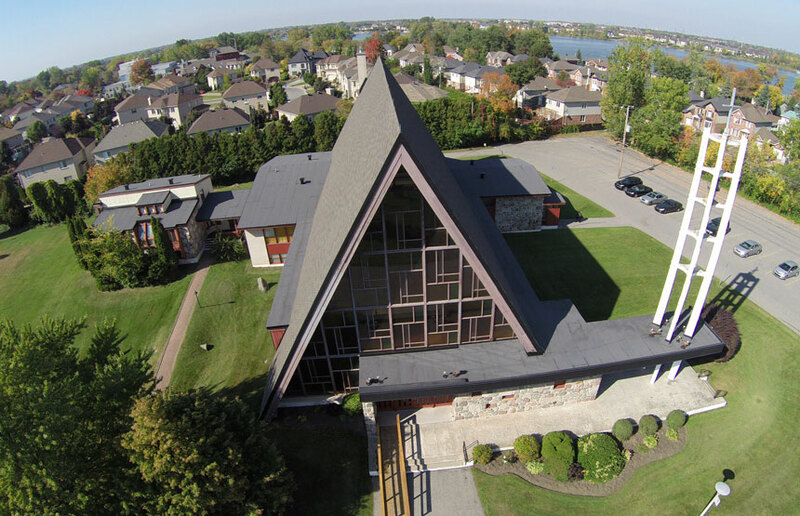 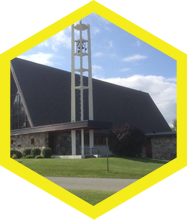 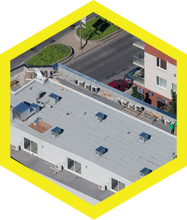 Over many years, Les Couvreurs Duro-Toit have completed many projects relating to the reconstruction and repair of commercial roofing. 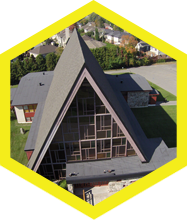 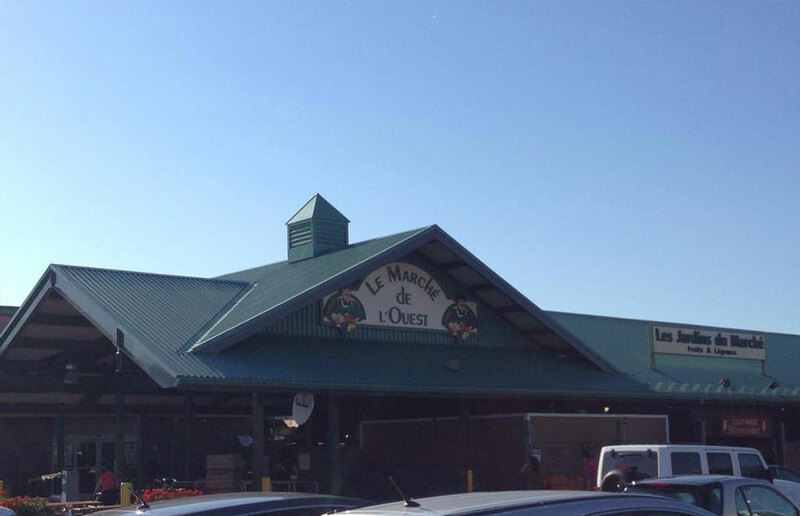 Take a look at some of the projects that have benefited from our expertise in optimizing roofing systems. 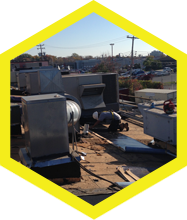 Some required a specific expertise while others needed complex work to significantly improve the integrity of the building. 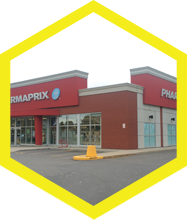 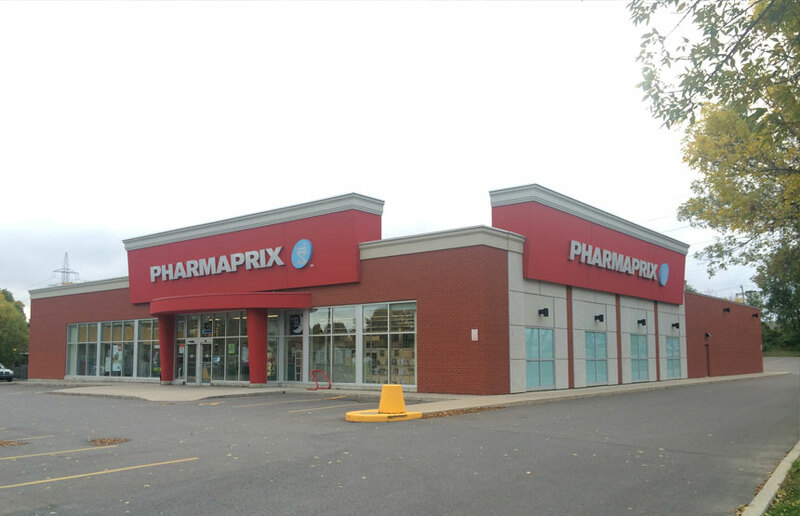 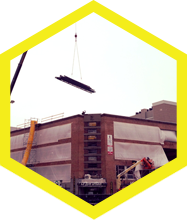 This complex project required the expertise of our team at various phases. 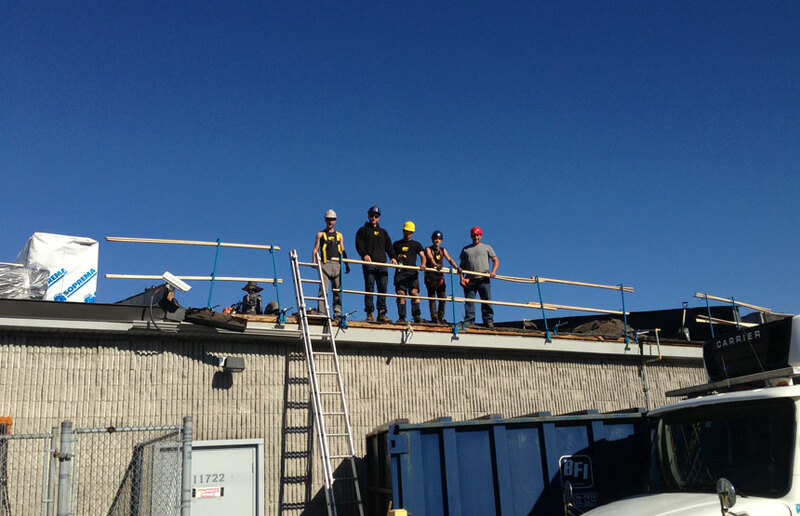 At the request of the customer, our roofers opened the existing roof to allow the installation of a mezzanine steel structure. 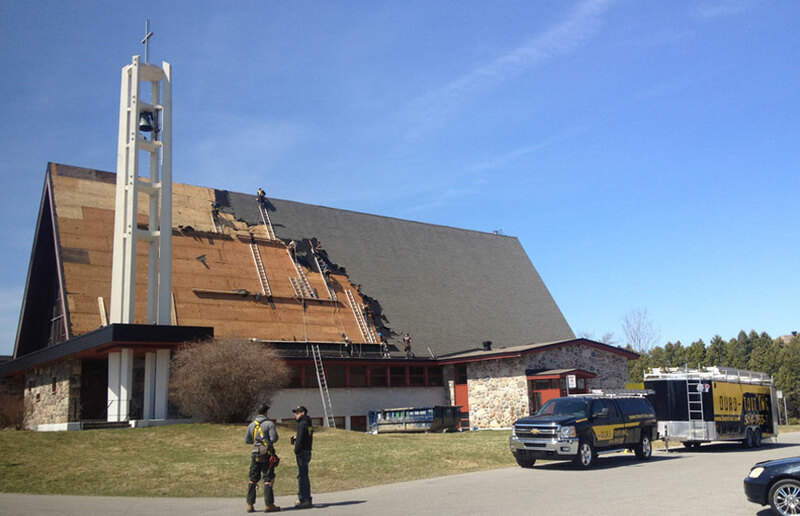 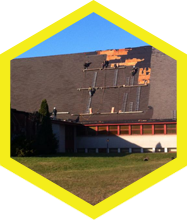 Then, they removed the existing covering that consisted of more than five layers of roofing potentially harmful to the structure of the building. 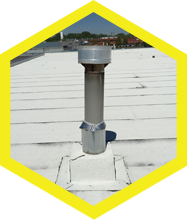 Our experts then added a one-piece sloped insulator to increase the insulation of the system and channel the water towards the drains. 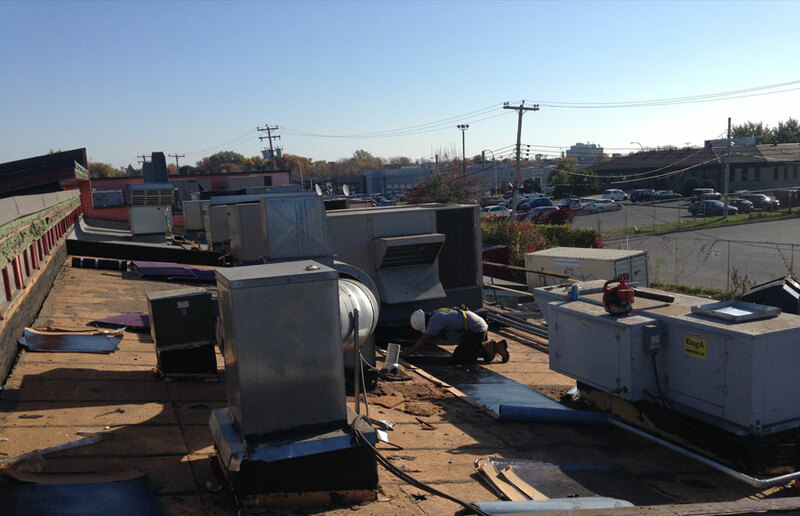 Working with a demolition team who took care to remove two floors, our roofers installed a roof on the second story to allow residents access to an interior courtyard. 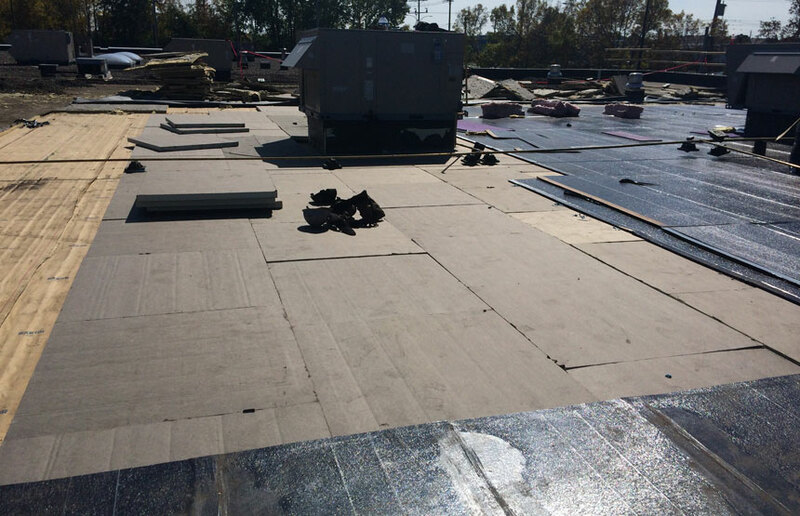 Finally, our roofers installed a waterproofing system of elastomeric membrane in accordance with the manufacturer's recommendations. 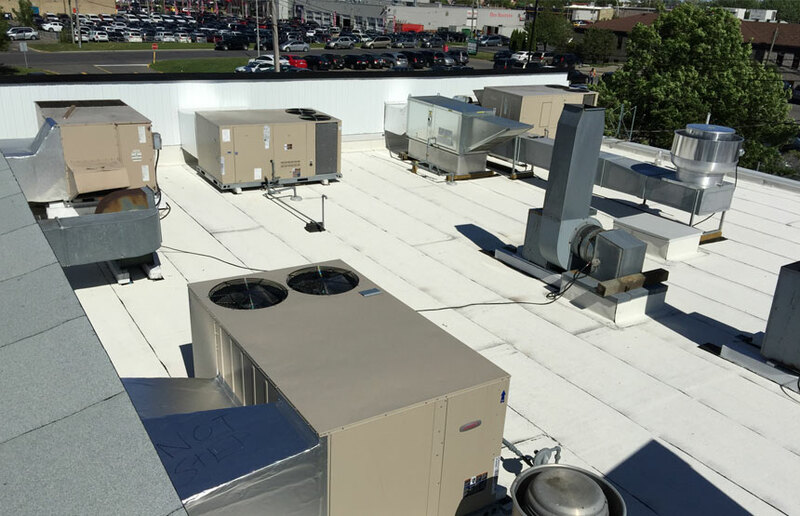 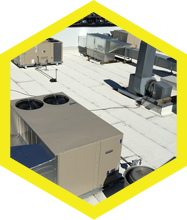 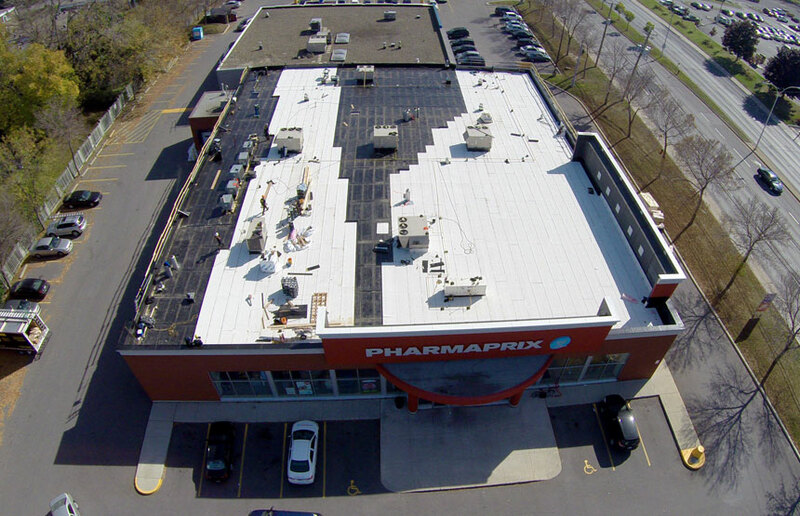 We optimized the commercial roofing by dividing this project into two phases. 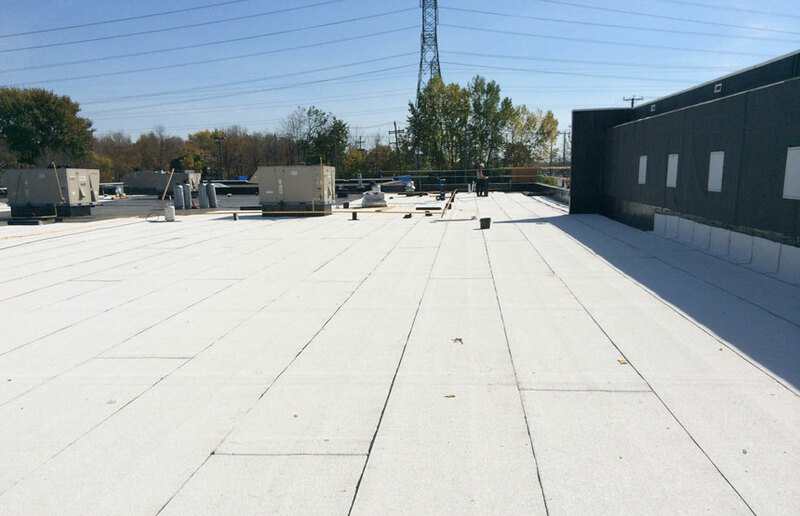 Our team first replaced the existing asphalt and gravel covering with a white elastomeric membrane with a more efficient Solar Reflectance Index. 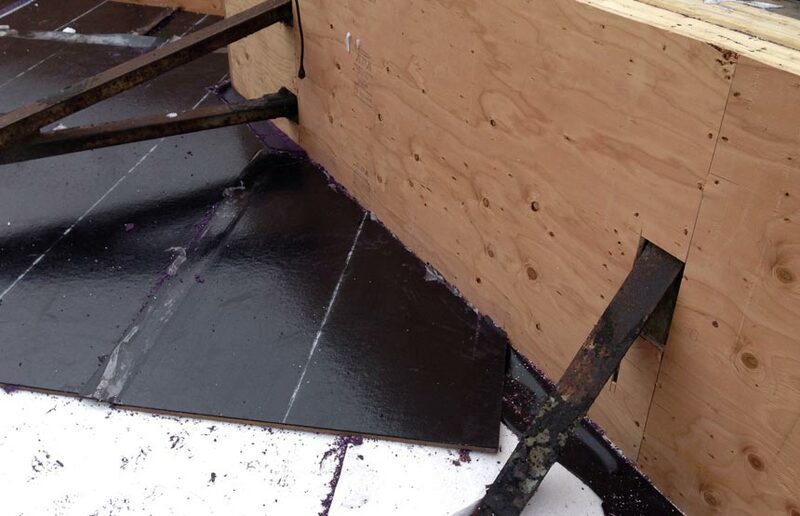 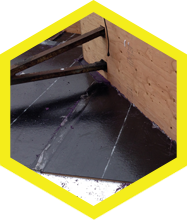 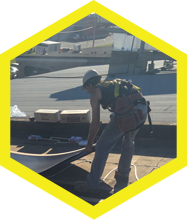 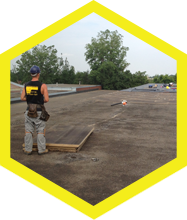 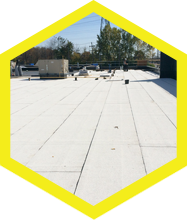 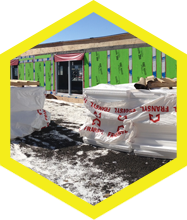 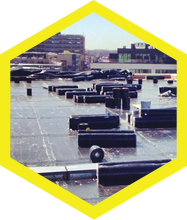 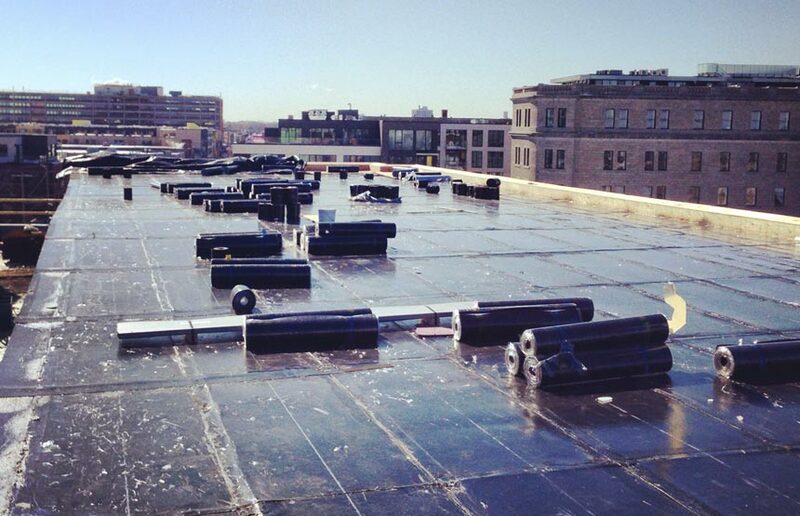 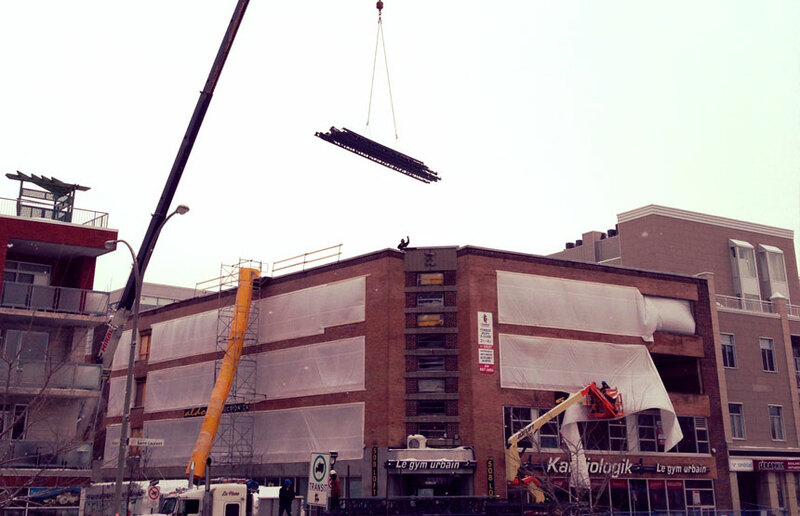 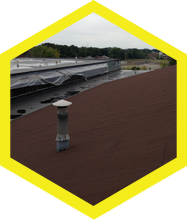 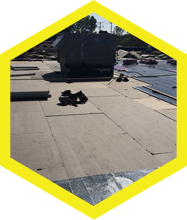 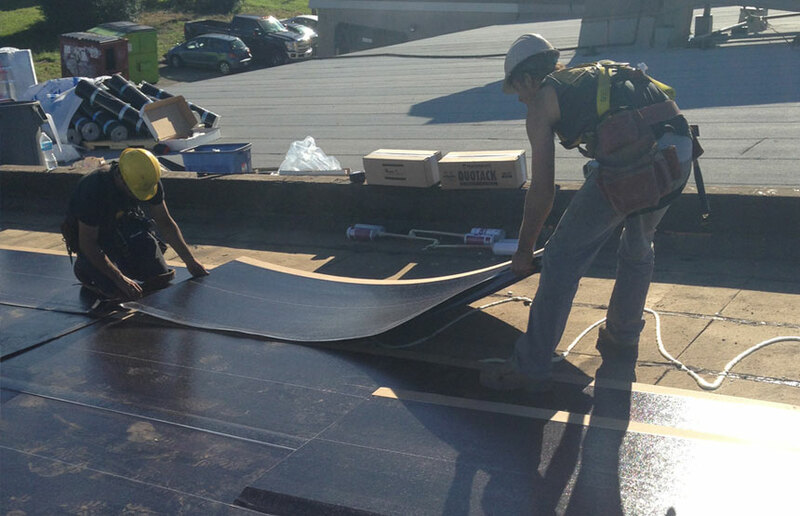 Subsequently, our roofers installed the black elastomeric membrane at strategic locations for aesthetic reasons. 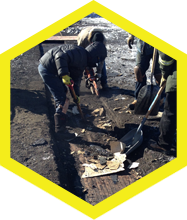 In addition, we improved the waterproofness by constructing boxes that directed water more effectively. 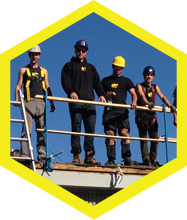 Finally, our tinsmiths replaced the wall cladding with steel and other metal flashings, while our aluminum coating installer covered the fascias and soffits. 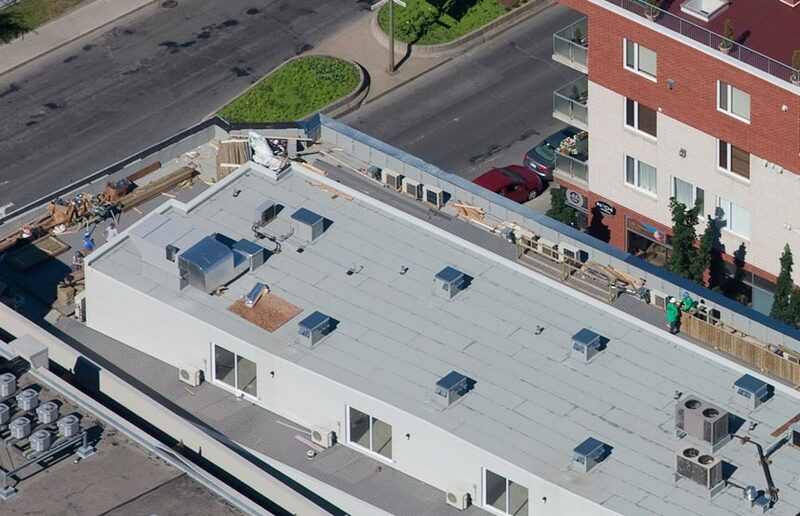 Les Couvreurs Duro-Toit replaced the roof of this commercial building. 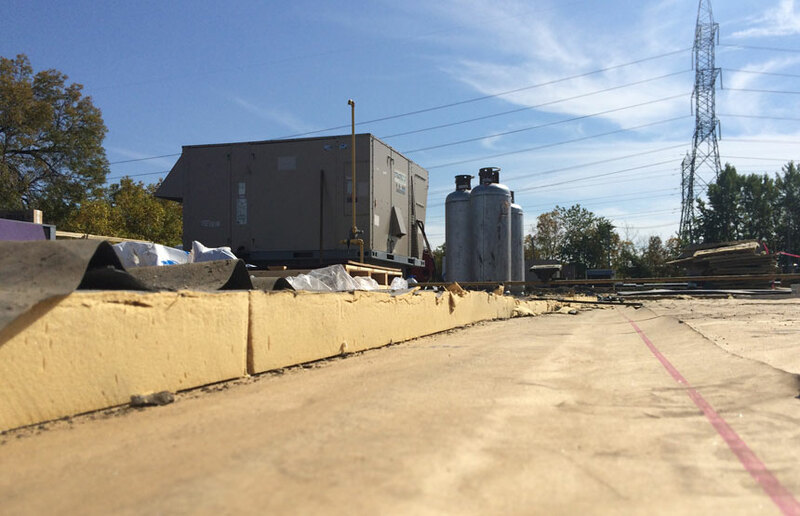 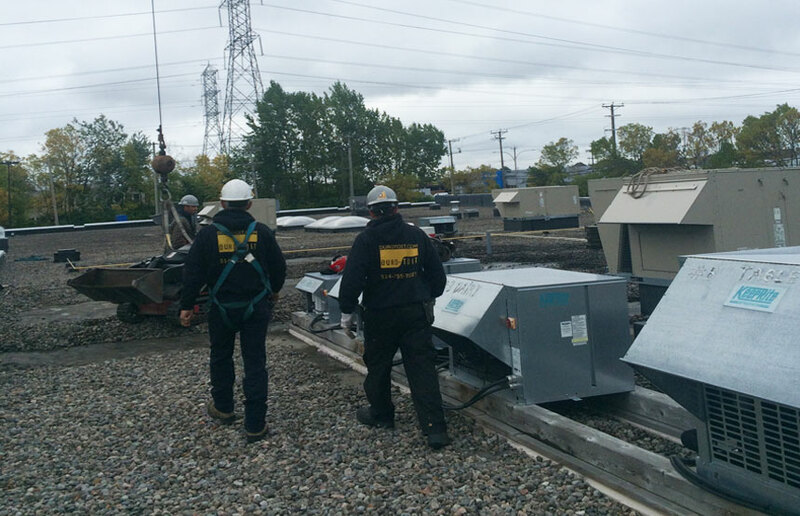 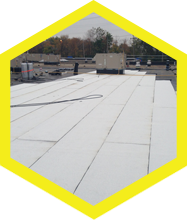 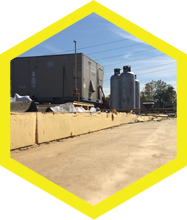 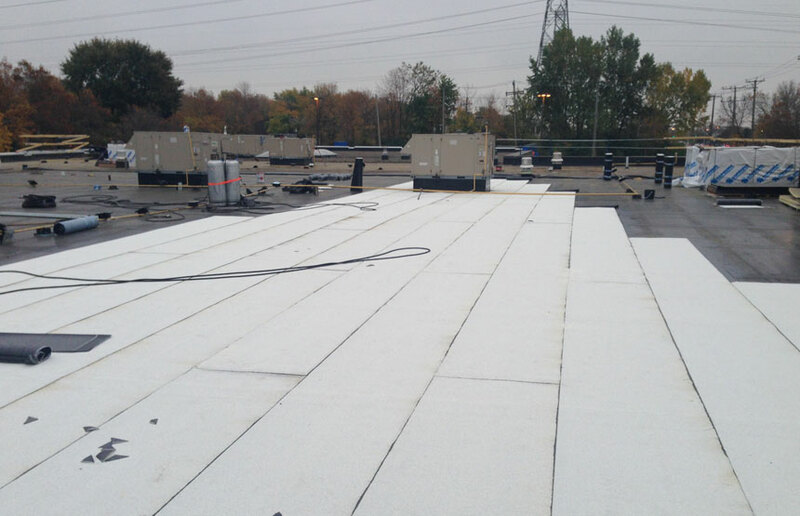 We changed the EPDM ballasted roofing for a more efficient white elastomer. 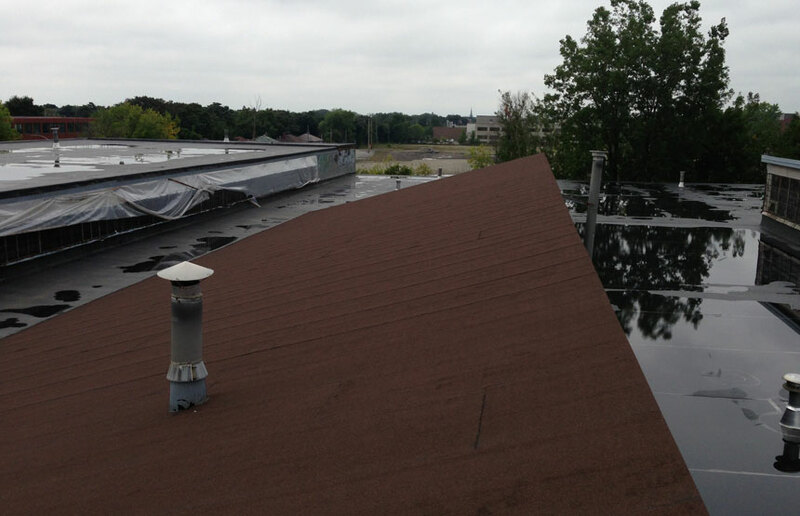 Our roofers redid the wall covering to optimize the impermeability of this commercial roof. 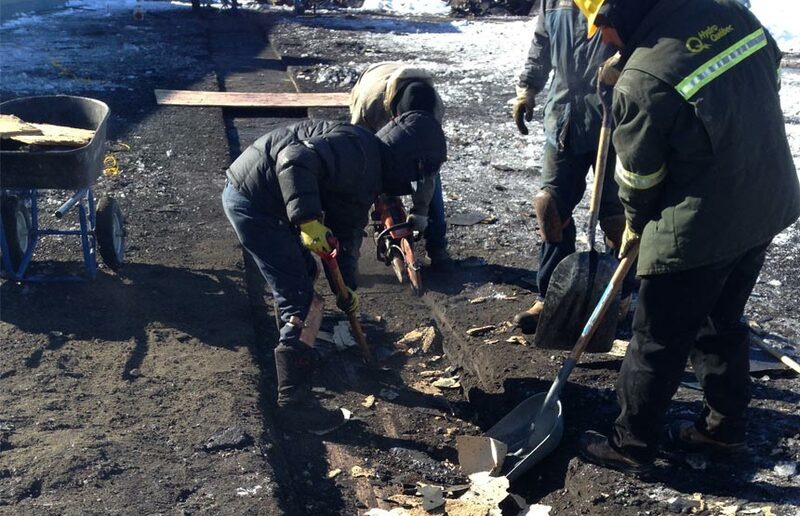 In addition, they built a wall to delineate the two main basins. 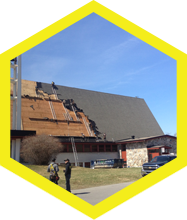 The roof is now optimal as a result of our repair work. 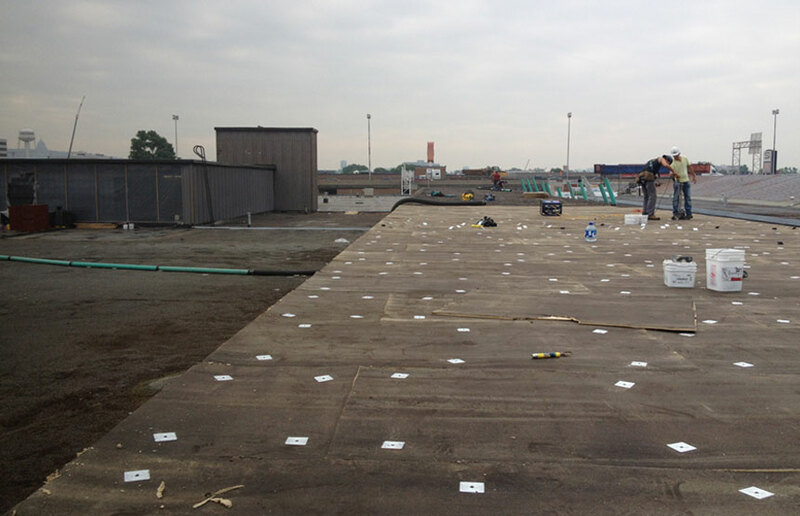 We succeeded in carrying out this complex project thanks to our special expertise in relation to this type of system. 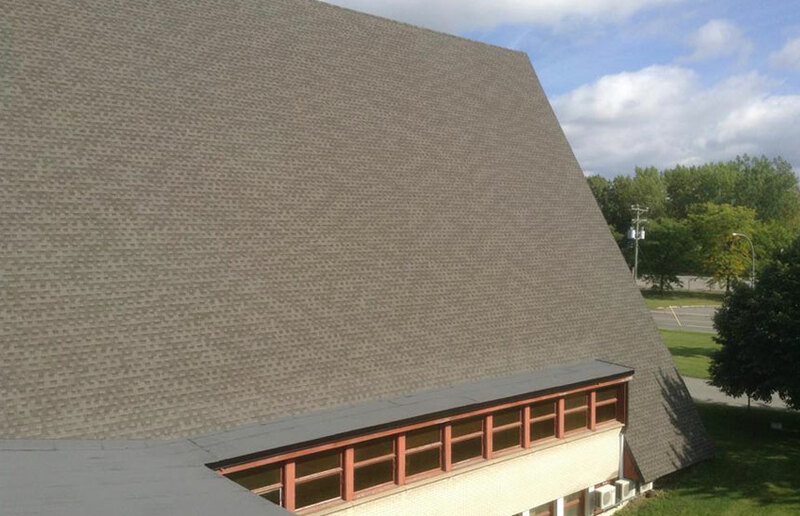 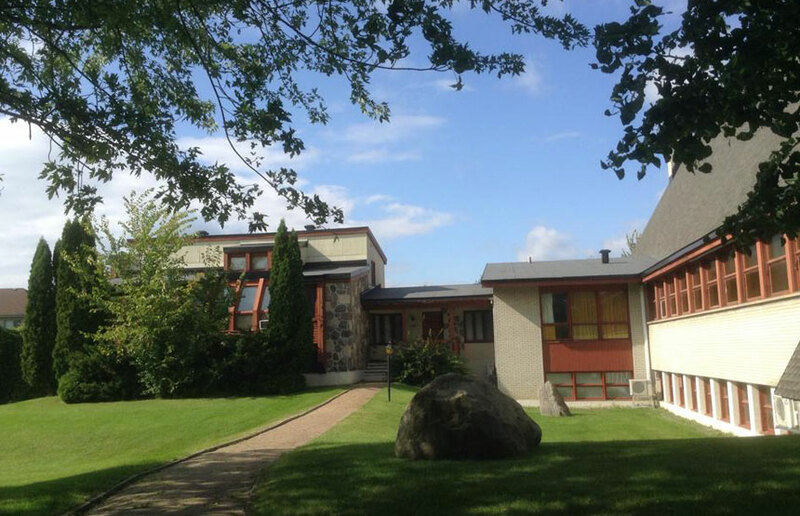 The roof had two different surfaces divided into two phases. 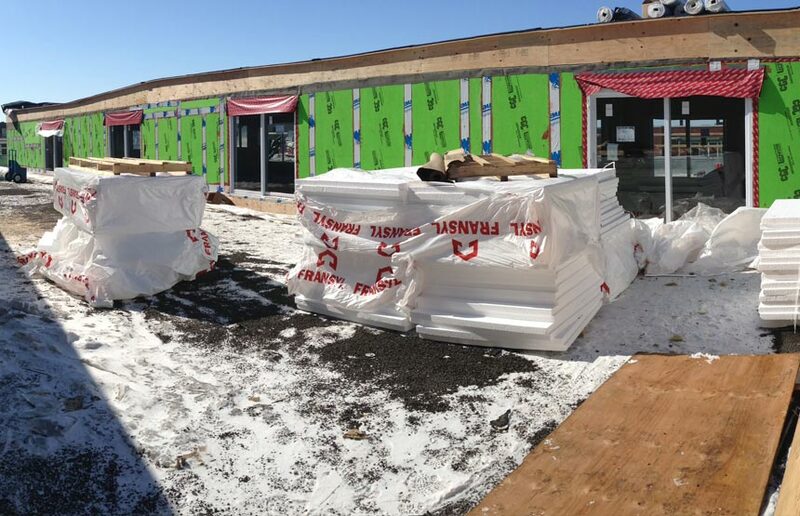 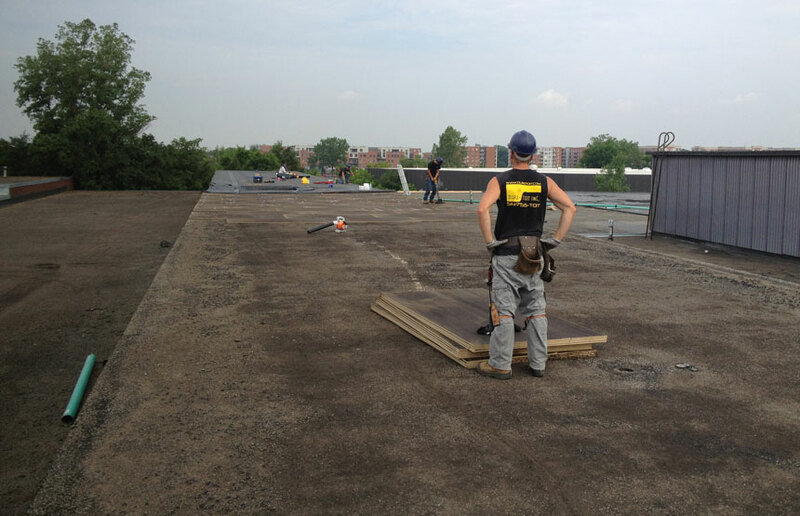 Our roofers began by installing the elastomeric membrane. 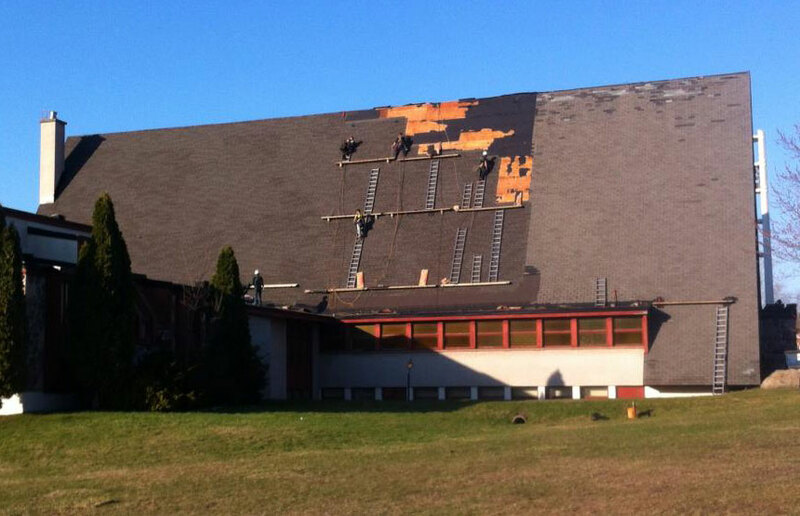 Then they replaced the shingles. 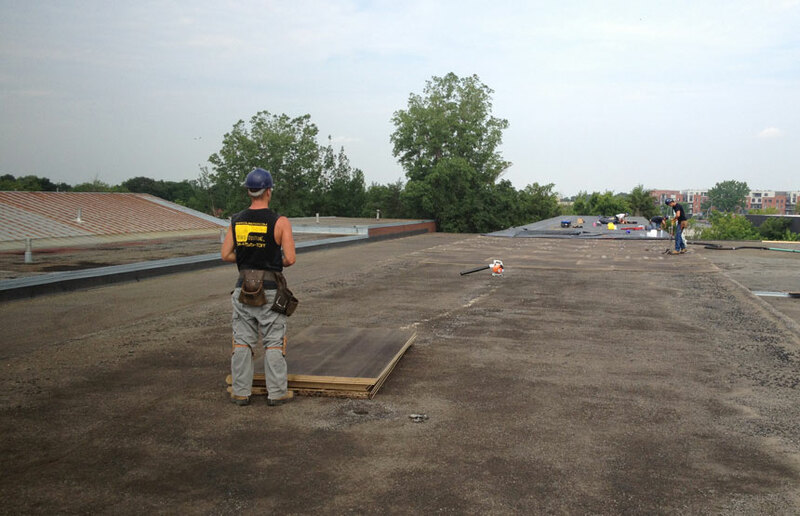 They had to be vigilant during the work because of the very steep slope that was a security risk. 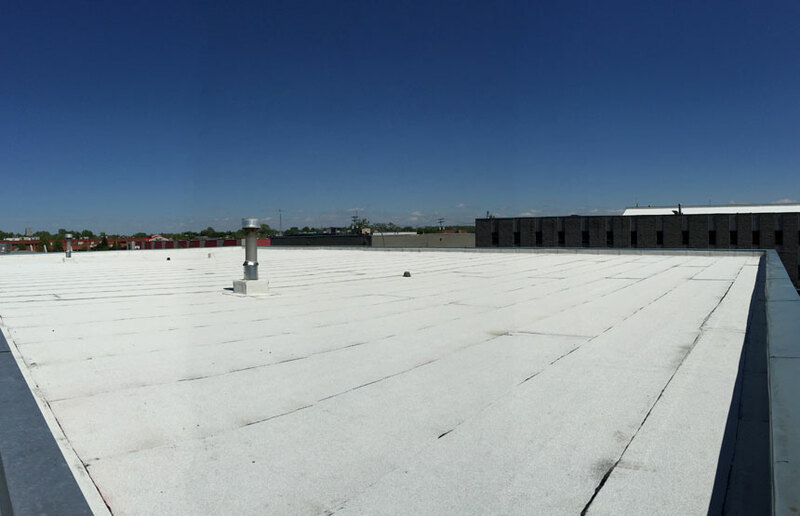 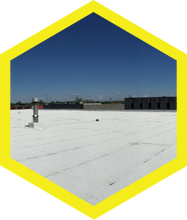 Our team repaired this industrial roof that totals more than 120,000 square inches. 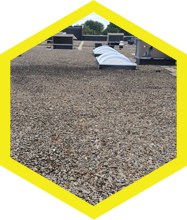 We collaborated with Carlisle who offered the additional System Total guarantee in recognition of our compliance with installation standards as well as the quality of materials we used. 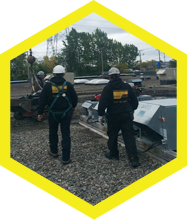 Consequently, the customer benefits from greater protection regarding the length of the warranty on equipment and labour. 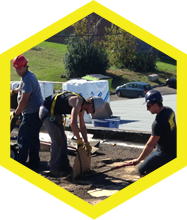 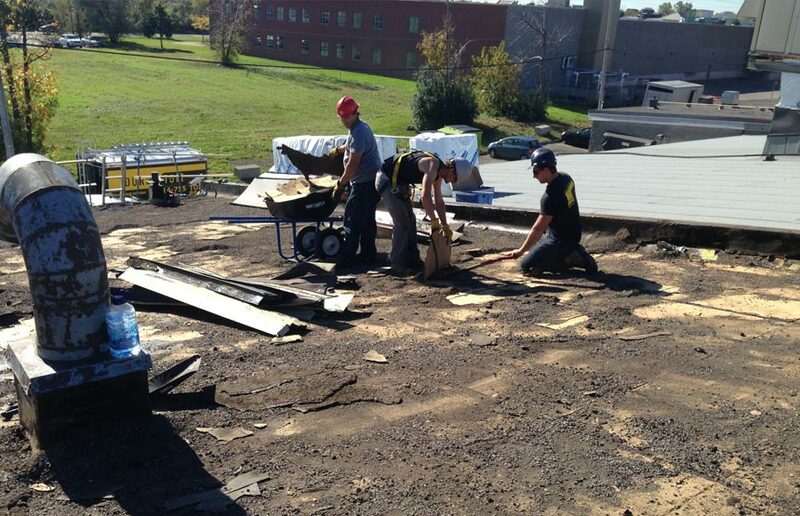 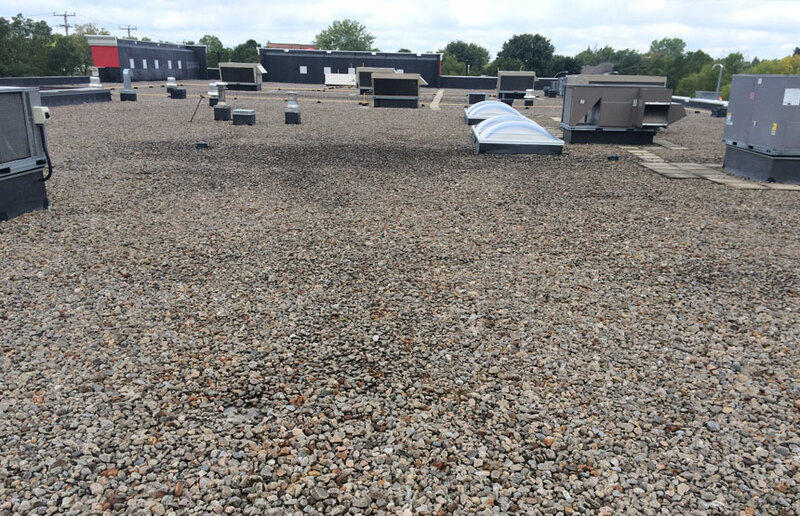 Our roofers replaced the asphalt and gravel roofing with a white elastomer membrane. 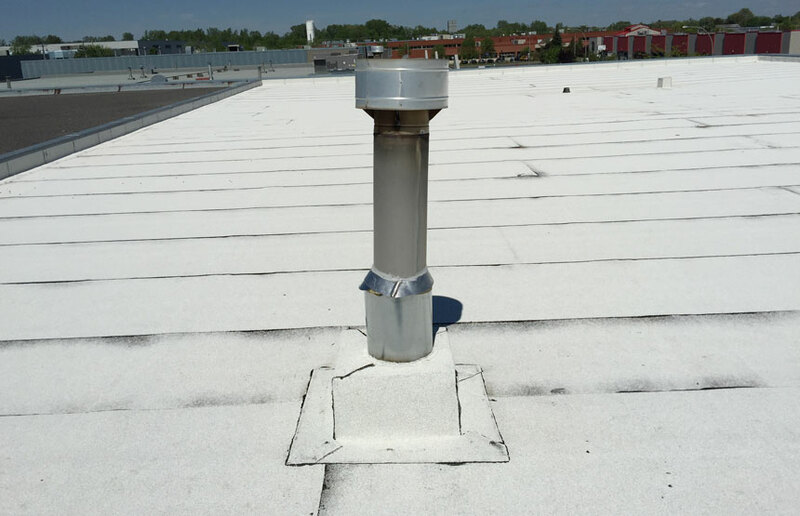 Our team also changed the roof vents and stormwater drains to optimize the existing system. 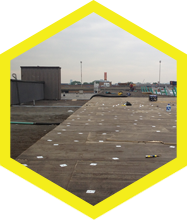 This project was carried out safely and in compliance with all standards. 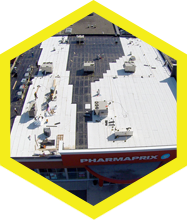 We are proud to have participated in this project which resulted in a high-quality industrial roof.